With her debut novel, Sweet Little Lies, Caz Frear has knocked it out of the ballpark. It doesn’t take any hidden twists or clever convolutions to manipulate the reader into this love affair; strong writing and a faith in the audience’s intelligence are Caz Frear’s stock in trade. Crime fiction fanatics will often extol the virtues of character over plot – and if a choice must be made, this is certainly the more advisable one – but when you can marry a fascinating main character with a first-class plot-line, magic happens on the page. And that is exactly what Frear does with Sweet Little Lies. More on the plot later, but first: Cat Kinsella. In just one investigation, Caz Frear has elevated Cat Kinsella to classic status amongst crime fiction protagonists. Much of this is because readers spend so much of Sweet Little Lies inside of Cat’s head. 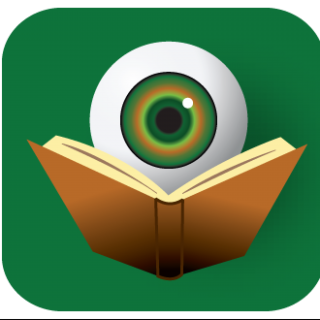 I am not just talking the standard point-of-view protagonist here – surely that is part of it as all the events in the novel come to readers via Cat, but Frear does an interesting thing that most authors would not attempt. Almost constantly on the page, readers are privy to both what Cat is saying (the official record of things) as well as what she is thinking (which is often in direct opposition to the former). So, where as with most main characters, readers get to know them primarily by their actions over the course of a few novels, with Sweet Little Lies, readers are mining facts from Cat’s actions, her thoughts, and her actual words all at once. It’s a wealth of information the bonds this character with readers very quickly. Caz Frear is not going to rest on Cat’s laurels, however. Even with everything coming from this dedicated point-of-view, the supporting characters also shine and readers will long to visit with them in future entries of this series. Cat’s partner at London’s Metropolitan Police Force, Luigi Parnell, blends well her without being a perfect partnership. That tension is important and will factor in future cases for sure. The female head of the division is realistically equal parts boss and mentor. And the other members of the force have enough interesting quirks that getting to know them better is a must. This well-developed pattern also applies to Cat’s family, the suspects in the current case, and just about every person who appears on the printed page as part of this current case. Oh yes, the case. Alice Lapaine is found dead and Cat’s team is sent in to investigate. Fairly quickly, Alice is linked to Maryanne Doyle, a young girl who went missing in Ireland years earlier. Nothing unusual about that, except for the fact that Cat and her family were on holiday in the area when Maryanne went missing and Cat has spent her whole life convinced that her father had something to do with the girl’s disappearance. She witnessed him lying to the cops at the time and has held that secret within for her whole life – a pressure that strains her relationship with both her father and the other members of the family. While the novel unspools in typical police procedural format, this added stress from Cat Kinsella’s family history provides a strong psychological element that elevates Sweet Little Lies above much of its competition. The investigation is thorough and the revelations intricate, but there is a verisimilitude throughout that demands compassion for victims in equal measure with the anger towards the wrongdoers. This is no black/white, cut/dried case – but one in which every person’s decision altered the course of multiple lives. 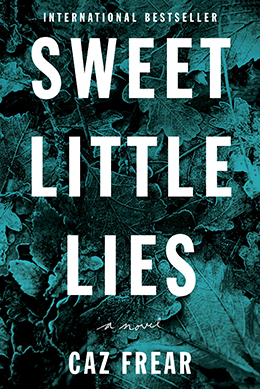 Sweet Little Lies is just the first step in Caz Frear’s crime fiction journey, but she already has a legion of fans following in her footsteps. Join the mob now, as this is going to be a very long journey. Wow, this book sounds very interesting. After I finish Tina Whittle’s newest book I’ll check it out. Thanks Kris. Thank you, Leslie. It is quite a debut!